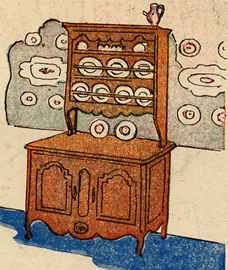 A piece of furniture used to store and display crockery. Plates, dishes and other eating and serving tableware, usually made of some ceramic material. Crocks, earthenware vessels, especially domestic utensils.